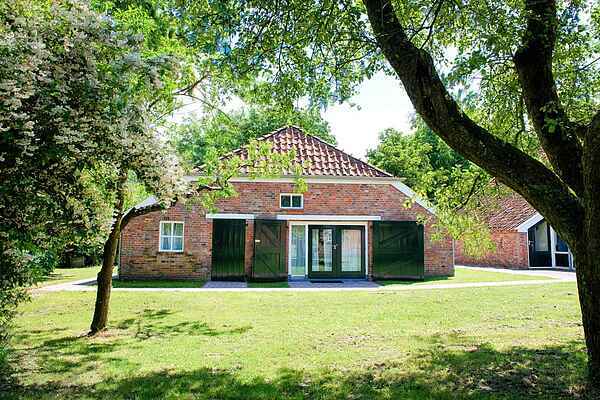 This recently restored monumental farmhouse with historical value is beautifully situated on an estate of 5 hectare, amidst the unspoilt nature area of Westerwolde. Tranquillity and nature are top of the list for a holiday in this region - waking up with deer peering through your bedroom window... what more do you want ! The home offers you all possible luxury - including a heated indoor swimming pool and a whirlpool. This luxury is combined with many authentic elements in the house which will make you feel like a time traveller! You will have full privacy in this home and a wide view on the Westerwold nature. The region around Landgoed ter Wupping is perfect for beautiful walking, cycling- and canoe trips. A visit to the pleasant city of Groningen and the authentic Groningen villages and the fortified city of Bourtange are a must. Recommended! IMPORTANT: Groups of young people under 25 years, student, bachelor and stag parties are prohibited in the house. This is due to the tranquility of the area and in order to maintain the houses good reputation. The house is part of a quiet rural village. If you wish to enjoy loud parties, this accomodation and area are not for you. The use of your own sound equipment and playing music outside is prohibited.